THE ILLINOIS RIVER AND TENKILLER LAKE ARE THREATENED BY POLLUTION ARKANSAS DOES NOT WANT TO ACKNOWLEDGE. Please submit written comments to the Arkansas Department of Environmental Quality by Sept. 10, 2018. Copy and paste this suggested comment below into your letter or email to ADEQ (please be sure to add you name and address. Mail or email to the address below). ADEQ's decision to remove tributaries of the Illinois River from Category 5 is not based on water quality data or sound science. Basing your decision on a watershed management plan or other well-intended best management practices is a flawed decision. Category 5 is the correct category for Osage Creek and Spring Creek which receive a large loading of phosphorus and nitrates in treated sewage including sewage from Rogers, Springdale, Fayetteville, Siloam Springs and Bentonville, Arkansas as well as from nonpoint sources of phosphorus including legacy phosphorus. The watershed management plan for the Illinois River watershed is non-regulatory and unenforceable. It is not capable of providing the water quality protection that a TMDL will provide under Category 5 of your 2018 303(d) list. Nor is it capable of protecting the Illinois River watershed in a timely manner. Additionally, Arkansas agreed to abide by the Oklahoma Scenic Rivers Joint Study by Baylor University. Placing Osage Creek, Spring Creek and other Illinois River water bodies in a category other than Category 5 is not in the spirit of the study results that Arkansas agreed to abide by. The Baylor study of nuisance algae determined that nuisance algae begin to grow at a level of point-zero-35 mg/L (.035 mg/L) and below. ADEQ has shown no evidence that the level of total phosphorus in these streams and stream segments is below .035 mg/L or below Oklahoma's instream phosphorus limit of .037 mg/L total phosphorus. Please list Osage Creek, Spring Creek and other Illinois River stream segments in Category 5. Give the Illinois River greater protection not less protection. States are required to submit to the U.S. EPA every two-years a list of waters impaired by pollutants. Streams and lakes listed by states as Category 5 streams and lakes must be protected by a Total Maximum Daily Load (TMDL). That scientific study will identify pollution sources and specify how much these sources must reduce their pollution, i.e., poultry and cattle manure which are nonpoint sources of phosphorus. Arkansas does not want to conduct TMDLs for polluted streams in the Illinois River watershed or in the Buffalo National River watershed. The reason, STIR believes, is that TMDLs will pinpoint the damage to water quality from growing cities and from corporate farming activities. That, STIR believes, is the reason for not listing these streams in Category 5 of the Arkansas 303(d) list of impaired waters. 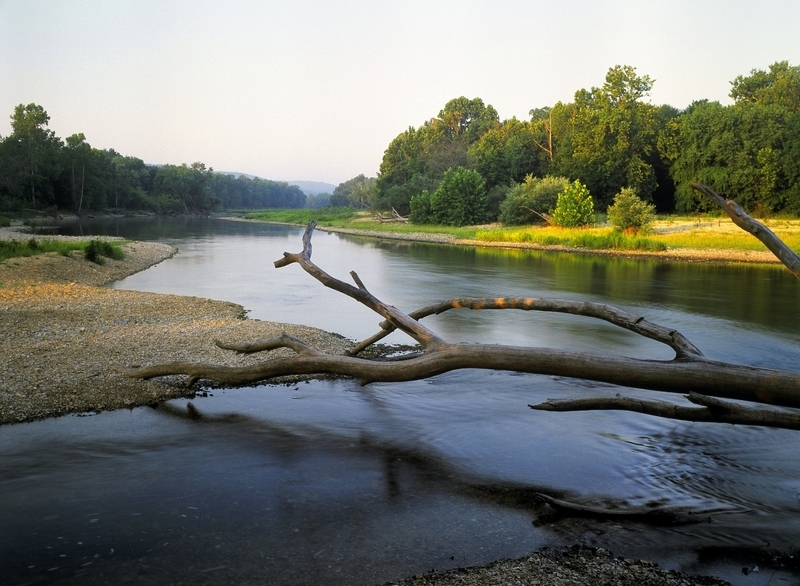 The Illinois River and the Buffalo National River must be protected.